I’ll take a memoir, please. Then life happened. Her skies got cloudy. Disappointment replaced those dreams. Skipping was totally out of the question. Flat, sensible shoes with round toes and rubber soles made walking more comfortable. “Bridge over Troubled Water” played on repeat. 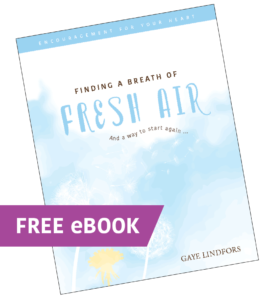 The next section in her memoir shares a season in her life that was filled with “What if…?” What if things don’t change? What if it doesn’t get better? What if this is all there is? She decided to do something to get out of the rut and start living again. She decided not to let her circumstances define her. She decided to write a different story. The end of her memoir reminds us that better days will happen. The grey skies and dark clouds don’t stay as forever-companions. But they influenced who she is today. Stronger. Wiser. More peaceful. More joyful. Her life changed. Her heart healed and her spirit was restored. She decided. And then she did. And it’s their endings that bring the goosebumps, the smiles, the HOPE. I am writing my memoir today. You are writing your memoir today. Our stories move from blue skies to grey skies to dark skies and back to blue skies throughout the seasons of life, right? And we choose to keep moving through … knowing that we really can write a great ending. We sense that flicker of hope and we cling to it. We grasp that igniting moment or word. We choose something different. We allow God to enter our story in a new way. In a way that lets Him restore and rejuvenate. We decide. And then we do. Will you take a challenge with me? Let’s start a new section in our memoirs today. There is an igniter in front of us. Waiting to be grasped. It might be that “one thing” we know we need to do to make amends. Get healthier. Move our dreams closer to reality. Talk to God. Let’s just get off our butts and do that one thing. 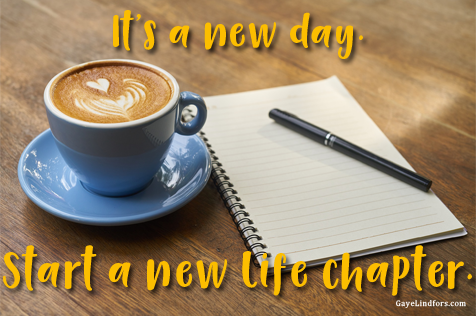 Today – this moment – you can start a new chapter. Ask God to show you the next step. Ask Him to give you renewed energy. Ask Him to give you the courage. Ask. Then listen. Then get up and move. Turn the page of your own story. Grab a fresh pen. Start writing something new. Your memoir matters to God. It matters to you. It’s a big deal. Thank you, Marilyn! I’m so glad our memoirs have crossed over the years!